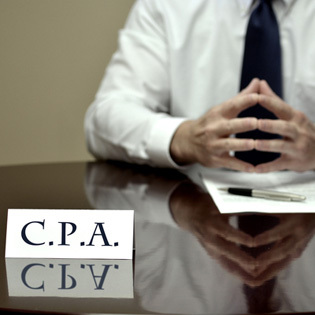 Look out world — the CPA practice of the future is here. That’s because technology has impacted every industry, every market sector, and businesses of every size. While CPA firms may be lagging a little behind the digital trends sweeping our universe, even the government has gotten behind things like electronic filing of tax forms. From the software platforms you’re using to how your clients want to interact with your firm, the following digital trends are going to continue to impact your CPA firm over the next few decades. You’ve seen the commercials about H&R Block teaming up with Watson this past tax season. You may have wondered why Watson is such a big deal. Actually, we believe the Watson commercials really didn’t illustrate the impact that this partnership will have on consumers and your CPA practice. The truth for the small to the mid-size competitor is that Watson is your new competitor. Watson is artificial intelligence (AI) created by IBM. AI is a category of machine learning where the computer is programmed with algorithms that allow it to “learn” on its own. It’s the closest thing to a computer being able to reason that we have today. You can find examples of machine learning in your GPS system or your Amazon Alexa. But Watson takes AI to a whole new level, and we’re just getting started with this technology. But how does Watson impact the CPA universe? Watson takes in the 74,000 pages of U.S. tax code easily and applies it to your taxes. That’s the power of machine learning – and it is the future of taxes. Tax professionals interview a new client and fill out an assessment form. Watson’s big computer brain takes that data and analyzes it against tax returns from prior years to create a personalized accounting approach. As the client works with their H&R Block advisor, they will watch a computer monitor that shows them pleasing visuals highlighting their earnings from past years, taxes paid, and other data. It’s a visually appealing process. The idea is that Watson will help you find the highest number of deductions, lessen the chances of human error, and perhaps even lower the chances of an audit. This is a powerful tool that could, in time, completely change the way we work. Is your CPA firm ready to compete with artificial intelligence? Contact us to Get a free assessment. The Internet has made your clients more demanding. It’s true. Each client that walks in your door has the immediacy of a digital connection at his or her fingertips every day. Our culture is now obsessed with smartphones and Wi-Fi connections to the Internet are everywhere. We are dialed in constantly, which means the world is moving more quickly. All this access has generally made us jittery and impatient with the stoic, cautious approach of most CPA processes. Clients want the same 24/7 days per week connectivity with financial advice and support that they receive from most digitally connected businesses. They are using their phones more, which means your website needs to be fully functioning across any digital device. Your clients want a one-stop shopping experience where they receive financial advice beyond tax preparation. Studies tell us that 45% of all accounting firms today in the U.S. have revamped their models to accommodate these trends. Consumers want you to join them in the cloud, which is a place where some accountants still don’t quite feel comfortable. Having the ability to work online in a secure environment to collaborate with clients or provide tax advice is vitally important for your firm. Cloud computing could lessen your costs – Request a quote today. CPA firms have been responding by outsourcing more of their basic business functions to the cloud. It allows your CPAs and their customers’ access to real-time data from anywhere they are. It also eliminates your need to update software or hardware on-site at your business. Outsourcing to the cloud allows you to take advantage of large secure data centers and whole teams of security experts who can be sure your data stays secure. All this can be done for a fraction of the cost that you’re paying for a solo in-house IT person. Since cloud models are designed to be interoperable, it’s easier for your firm to securely connect with banks or other providers, which eliminates your need to copy or send files. These are just some of the latest digital trends affecting the future of your CPA firm. Get a free assessment to find out how digital technology could be used to improve your business. Connect with us and experience the TOSS difference.